We sometimes get asked, "What's the difference between Microsoft and Cisco certifications?" Microsoft certifications are about managing computers and servers, working with operating systems, potentially opening the boxes and working with hardware, and definitely a lot of application and other software installation, troubleshooting, and upgrading. There are some major specializations, such as Exchange, SQL Server, or SharePoint. Cisco certifications are networking-based, that's subnetting, routing, switching, working with networking devices and managing traffic. The focus isn't on servers or end-users, but on the underlying networks and the technologies that make data flow over the wire. You'll also see things like voice, wireless, and storage networking, which are all fairly specialized. All of the fundamentals of routing and switching are covered in the CCNA certification. Our latest CCNA graduate shares his experience with studying and passing his CCNA exam. For me to feel that I had a complete understanding, at least at a CCNA level, of the information I was studying I needed to practice theory and lab and utilize them together when troubleshooting (where you really learn). If you can complete new, and challenging troubleshooting labs, you have a firm understanding of both hands on and theory. Other than that make sure you know your subnetting. I am not one for memorization, so I ensure that I understood subnetting well enough that I could do it in my head, quickly. Review, review, review. I ended up utilizing 5 single subject notebooks for my studying. As I came closer to my test date I also utilized testing applications and websites. Utilize sites that test your abilities, not dump sites. Via testing applications and test sites. I used a combination of books, videos, labs, test application and test sites. I would have set my test date at the beginning. I took too long to study for my CCNA, although I did finish with a 960. Having questions of the day hit my inbox really was refreshing and I still utilize them daily. In fact, I forward them to several colleagues that are contemplating studying for their tests. 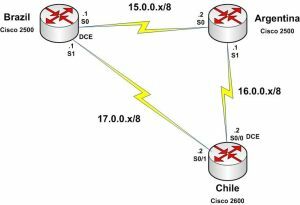 Do I Need Equipment for CCNA Course? While you could attempt to pass the CCNA exam without any practice configuring and troubleshooting labs, we do not advise it. The CCNA is not an easy exam, especially if you are unprepared. The CCNA syllabus covers a lot of practical skills along side the theory behind it, and the exam is designed to test your knowledge of this. There are different ways you can get this practical experience, and we've put together a video explaining your options. The video is part of the free trial of our online CCNA Success Bootcamp. To begin your free trial simply submit your name and email on our homepage.